"Not too long ago, pro-skateboarder Eric Koston signed with performance sports label, Oakley, as a part of their skate team to further solidify the already stellar group. As a part of the signing, Oakley worked with Koston to personally design a collection of gear for the upcoming holiday season. Included in the capsule collection are three items- a ballistic nylon backpack, a military inspired daypack and of course, the iconic Oakley Frogskin in a new wood grain shade. Created especially for guys on-the-go, the ballistic nylon backpack is a sturdy number featuring multiple compartments and textured synthetic leather accents spacious enough to pack everything you need. For the other guys who are less into backpacks, the military-inspired daypack is a good option made from high quality canvas with tumbled leather. 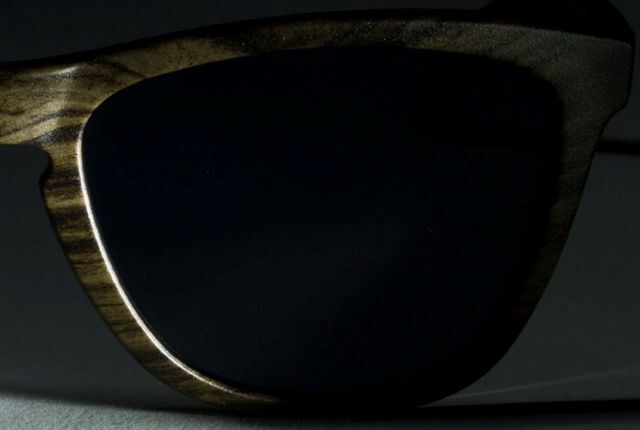 All bags, just like the Oakley Frogskin feature this collection's signature wood grain print; also, both the glasses and backpack are adorned with the special "EK" and Oakley logo to mark this collaboration. The simple yet functional collection is due to drop at the end of September and beginning of October."